Prof. Marghussian has 30 years’ experience in teaching and researching in the field of glass and glass ceramics. He is the author/co-author of more than 50 research papers on the crystallization of glasses and fabrication of glass ceramics (including nano-glass ceramics) published in international journals (H-Index: 10). These papers cover all essential aspects and applications of glass ceramics (optical, dielectric, magnetic, biomedical, structural, coatings, etc.). 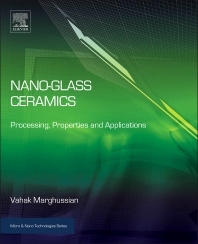 Beyond this, Prof. Marghussian is author and co-author ‎of 3 books in Persian – one of them on glass structure and properties (including one chapter on glass ceramics) – and he has been Editor-in-Chief of two journals on ceramic science and technology. His research fields also include biomedical application of ceramics. Prof. Marghussian presented at numerous conferences, he has been Director of several national research projects on glass and glass ceramics and supervised more than 50 postgraduate research projects, mainly on glass and especially glass ceramics and nano-glass ceramics.